We’ve been enhancing reputations, changing perceptions and generally keeping clients in the forefront of their respective industries, since we first opened our doors back in 2002. Acumen ranks as one of Scotland’s top mid-tier PR Consultancies with a formidable track record and an uncanny knack of getting our clients positioned where they need to be seen. We’ve had the satisfaction, many times over, seeing our clients being selected for significant contract wins, winning awards, securing funding and being able to open up new markets and sales channels through our efforts. After all, we’re only doing our job. Moreover, we have been fortunate to work with some of the most dynamic technologies to emerge from Scotland in the past five years – emerging and disruptive technologies that transform lives in healthcare, communications, medical devices and bioscience. Acumen goes beyond expectations and our clients reap the benefits. You won’t find any client’s passed down the ‘food chain’ to junior staff either. We’ve heard this complaint so many times – Director or Senior Partner goes in to a client, wins the work, and allows a junior member of staff to ‘learn on the job’! It will never happen at Acumen. Director level engagement is our ‘mantra’ at all times. So who are the key players in Team Acumen? Director, Kevin Dorrian has spent a lifetime in the media industry, having started his career as a news broadcaster on local radio, working with the AA’s Press Office, before entering the PR industry. He’s one of the country’s most respected PR consultants with a flair for unraveling technically challenging issues and giving them a ‘voice’ across a wide range of sectors that creates the media coverage across the UK – or across the Globe, that clients look for. Kevin works with some of the most exciting technology companies to emerge from Scotland’s universities that continually push the boundaries of science and innovation. Other sectors where he leads Acumen’s broad portfolio of work includes life science, innovation, higher education/academia, property/construction, food and drink, retail, renewable energy, oil & gas, professional services and tourism. Devin has been working with Acumen since the company was established in 2002 and, before that, with Kevin Dorrian since the mid-1990s. A former award-winning journalist, Devin started his career writing travel guides. He has delivered communications programmes for some of the country’s best known household names including Tesco, Pfizer, Boots, M and S, British Airways, ScottishPower, Diageo and the National Trust for Scotland. He specialises in political communications and is a former Edinburgh City Councillor. Devin also looks after all the organisation of our popular media training courses (so feel free to get in touch!). He is a long-standing member of the Chartered Institute of Public Relations (CIPR) and the Public Relations Consultants Association (PRCA). 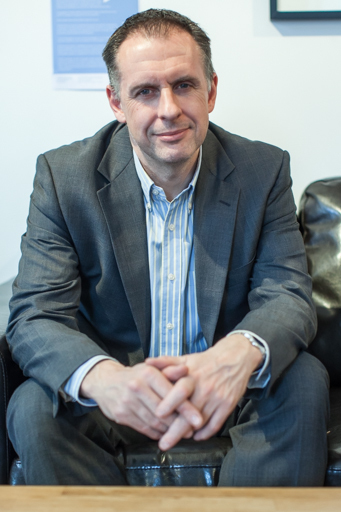 David specialises in Professional Services Public Relations at Acumen. He has written about legal affairs in Scotland for more than 12 years. He launched the highly-regarded Law & Legal Affairs pages for The Scotsman in 2004 and was hired to edit them as a freelance after leaving the paper to set up his own business in 2009. He continues to edit Monday’s Friends of the Scotsman legal pages and also contributes legal features to The Times Scotland. David is also the longest-serving member of the Scottish Legal Awards judging panel and has presented one of the top prizes at the awards ceremony for the last five years. He is an accomplished event host and has chaired well over 100 business conferences and seminars. As co-founder of The Scotsman Conferences, he has organised almost 70 events and is highly knowledgeable about some of Scotland’s key economic sectors, including life sciences, food and drink and energy. He is currently developing his 4th annual life sciences event for spring 2017, with the 5th annual food and drink conference planned for September 2017. David has also hosted Law Society conferences and events for some leading law firms.